When I fell for David Bowie back in 1981, I fell hard. While I had always prided myself somewhat on maintaining enough critical distance from musicians to avoid sheer fandom, Bowie fascinated me like no other artist and I went willingly down the rabbit hole of his career. The catalyst had been the casual purchase of the ChangesTwoBowie compilation as a holiday gift for my brother. I think it may have been only the second Bowie album in the house, believe it or not, with the other being Changes One. Perhaps because it covered a longer period than the first collection, it gradually dawned on me how varied his work was. "All of these songs are so different," I remember thinking, " but they're all so good. What's going on here?" Game, set, match to Bowie as I began haunting my favorite used record stores for decent pressings of his catalog as the RCA "Nice Price" reissues used flimsy vinyl and indifferent color correction on the sleeves. In short order I had acquired them all and was busy absorbing song after song. Interestingly, Bowie himself was basically absent from the world stage as I was losing myself in his past. The end of his RCA contract had coincided with the disastrous realization that he had essentially been turned into his own employee. Having almost nothing financially to show for creating one of the greatest multi-album runs in recorded history he had retreated to lick his wounds and plot his next steps. They turned out to be...dance steps. I stayed up late one night to hear the New York premiere of Let's Dance and it was instantly obvious that something had changed. It was a great song, fun to dance to, but the Nile Rodgers production gleamed just a bit too brightly and the seams in the songwriting were a little too obvious. I didn't buy the album (it would be six years before I bought anything by him (I still stand by the first Tin Machine album, by the way!) but its success meant ubiquity for Bowie and I eagerly snatched up every magazine with him on the cover and paid a scalper $50, which felt like a fortune, to see him at Madison Square Garden on the Serious Moonlight tour. He was as astonishing a performer as I had hoped and I was thrilled when Stevie Ray Vaughn was replaced by Earl Slick, who was a connection, along with Carlos Alomar (ever-present on rhythm guitar) to the RCA years. How the heck was Vaughn going to play Heroes, anyway? Many articles on Bowie start out remarking on how hard it can be to be a Bowie fan, what with his sometimes wayward career after Scary Monsters. But that's old news. Despite the 10 year hiatus between Reality and The Next Day, that makes three great albums in a row, with the latter being one of his strongest records period. And there seems to be more on the way: BBC 6 just premiered his new song, Sue (Or In A Season Of Crime), a striking collaboration with jazz composer Maria Schneider, that will appear on an upcoming retrospective, cleverly titled Nothing Has Changed. All of this is to say that when it was announced that David Bowie Is, the comprehensive exhibition created by the Victoria and Albert Museum was touching down only in Chicago, I knew I had to get there. Thanks to my lovely and supportive wife, a plan was hatched to make a family trip of it and spend Columbus Day weekend in the Windy City. 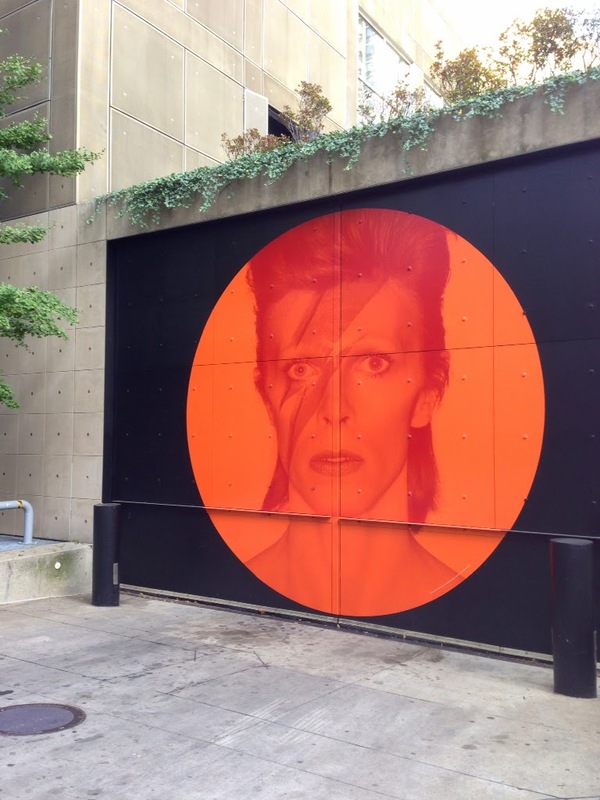 I knew I was in the right place when I took a random run near our hotel and came across a huge Aladdin Sane mural on the side of the museum. Above it was a sign: David Bowie Is Watching. After a day of sightseeing on Saturday, we were among the first people at the Museum Of Contemporary Art on Sunday with our 10:00 AM timed tickets. 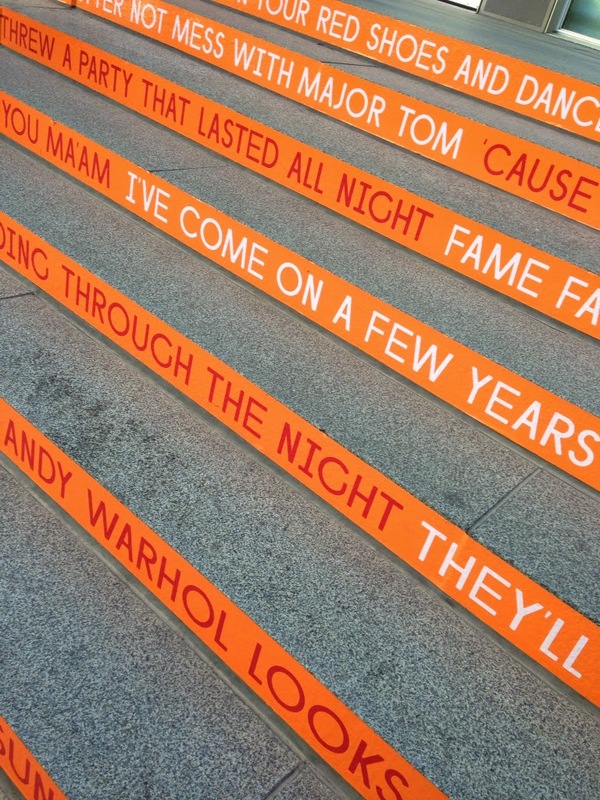 The facade of the ultra-modern building hinted at the glories within, with another mural and Bowie's lyrics on the stairs to the entrance. When we told the greeter we were from New York, she said to our kids, "Wow. Do you know how cool your parents are right now?" I was beginning to really like this place! We checked our bags, ascended to the third floor and walked through the empty queue to pick up our headsets and enter the show. Somewhere I had read that the average stay inside the exhibition was 90 minutes. I was in there for four hours, so deeply immersed it felt like mere minutes. Alongside the traditional vitrines and frames, the show uses cutting-edge display techniques like huge 3D shadow boxes with internal projections, which serve to bring various periods of his career to life. Also, wearing the headphones, which delivered content triggered by where you stood in each gallery, had the effect of putting Bowie in your head, spoken words and music colonizing your consciousness. 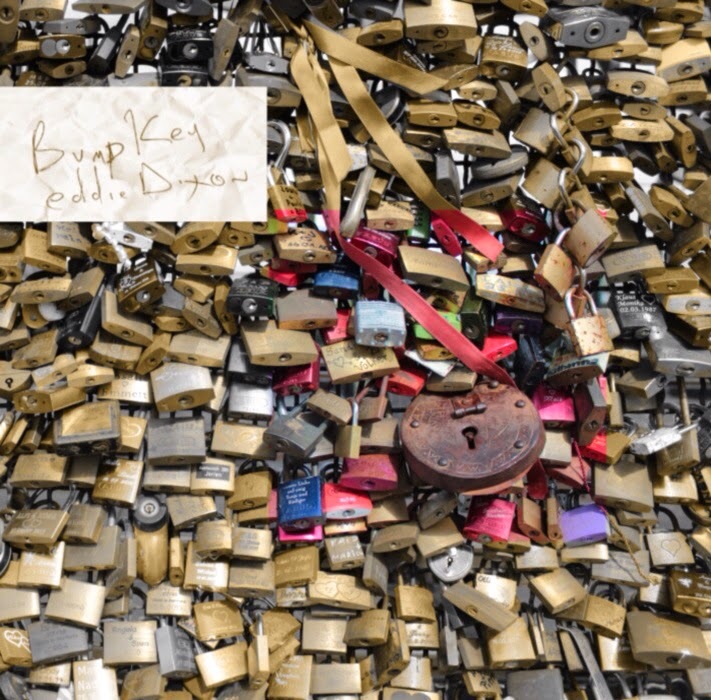 Bowie saved everything so each room contained more than one astonishing artifact, from the document that made his name change official, to his coke spoon from the Thin White Duke era, to the ring of keys from his years in Berlin. And that's not even mentioning the creative memoribilia - hand-written song lyrics, sketched out vocal arrangements, storyboards for an abandoned film called Hunger City, instruments from guitars to keyboards. Then there are the costumes, some for performance and others for street wear. Along with the evidence of his inspirations - Anthony Newley, Lindsay Kemp, Ballard and Burroughs, etc. - this all has the effect of connecting you deeply with his process. Then when you turn a corner and are confronted with his product, say the performance of Starman on Top of the Pops, the impact is enormous (my wife watched that one four or five times, marveling at the bromance between Bowie and guitarist Mick Ronson). I'm not sure there has ever been a museum show that so explicitly lays out the path of an artist from preparation to experimentation to the creation of a new original. For Bowie, periods of research, drawing on seemingly disparate materials, are followed by an assembling of collaborators, often a familiar group with a wild card or two, and then working in the studio with lightning speed to capture a song before it ossifies. The way Bowie works is tailor-made for an exhibition like this and, having long found his methods instructive for the way an artist can operate, seeing it all in front of me was thrilling. The rooms were laid out mostly chronologically, with strategic intrusions from other eras when it made artistic sense. You slowly realize that, even with his chameleonic ways, there are constants: the canny combination of abstraction and specificity in his lyrics, the draw of dance music, the clothing that reshapes his figure, the appeal of squalling guitars. He often stuck with collaborators like Ronson, Eno, Tony Visconti, or the designer Freddie Burretti, as long as possible, not casually casting people aside to get a quick infusion of new blood, and occasionally returning to people years later. One flaw in the show, although an understandable one, is that a neophyte could walk out thinking more about Bowie's extensive work with Alexander McQueen just because his name is on the wall, and have no idea who Mike Garson, Carlos Alomar, Dennis Davis and George Murray are, just to mention a few of the musicians who were crucial to many of his best records and performances. Speaking of performances, throughout the show, there is the occasional throb of what almost sounds like a live concert, noticeable even while wearing the headphones. This makes you wonder what you're missing and pulls you through the galleries. I was able to resist the temptation to dash ahead and let myself get thoroughly absorbed in everything. 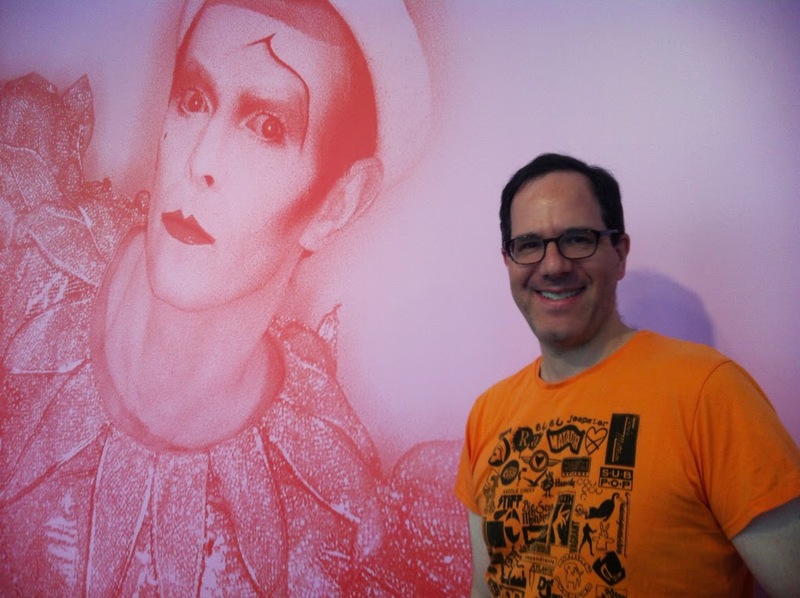 I knew I was getting closer when I got to the room where a well-edited loop of Bowie's film and theater work was running and the throb got louder. From his first appearance in the 1967 short The Boy, he was perfect for the camera, magnetic and controlled. By the time of The Man Who Fell To Earth and The Elephant man, he had learned how to invest his seemingly natural charisma with pathos and had become a great actor. Unfortunately absent is his spectacular turn from Extras, singing Pathetic Little Fat Man to Ricky Gervais, which proved comedy was also in his grasp. Based on the evidence in this room, there probably is more he could do with his acting talents if he so chose. Finally it was time to enter the room where the noise was coming from. This turned out to be a larger than life showcase of some representative performances which were projected on three walls. Some of these were heard through the headphones but others were blasted into the open air, almost replicating the collective experience of being at the show. There was a stonking take on Jean Genie with Mick Ronson playing to rule the world - I almost applauded when it ended - and three versions of Heroes playing at the same time. One was part of The Concert for New York City, which was put on in the wake of 9/11 to raise funds for the rescuers. Gradually everyone in the room gravitated to that wall, mesmerized by Bowie's obviously heartfelt performance. As the camera panned over the audience, filled with police officers and firemen in uniform and their families, I couldn't help but be reminded of all the emotions surrounding the city in those terrible days. And then I thought about how remarkable it was that this artist extraordinaire, who made the world safe for freaks and outsiders of every stripe, was also able to provide succor and uplift with grace and generosity to people who really needed it. Just one more incredible moment in the life and work of the man born David Robert Haywood Jones, someone who has enriched my musical, creative and emotional life immeasurably. As I left the show to puruse the extensive gift shop, I was filled with a sense of gratitude for his work and for the dedication of the curators who gave me this opportunity to engage with it on an entirely new plane. 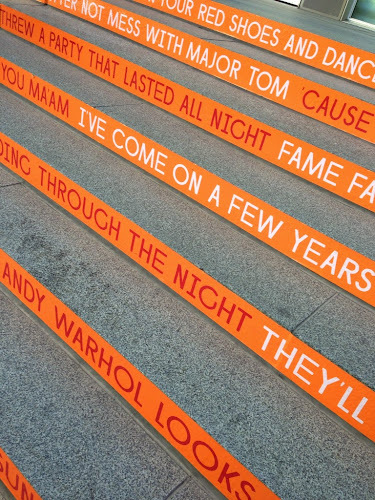 David Bowie Is will go down in history as one of the greatest museum shows of all time. If you can't get there, I highly recommend ordering the beautifully executed catalog, which features essays by Camille Paglia and Jon Savage, among others, along with a generous selection of photographs. When you get your copy, dial up either this career-spanning mix or the original track list of ChangesTwoBowie, put on your own headphones, and dive in to the world of David Bowie. May your time there be as rewarding as mine was. I had to go to Nashville for a nonprofit tech conference. Everything was taking place in the Gaylord Opryland, an outsized human-scale terrarium about 10 miles from the bright lights of Broadway. Since Nashville is Music City and I thought I might have a little time to explore what that meant, I started doing some research a couple of weeks before the trip. Serendipity called when I got an email from Noisetrade offering a free sampler of Nashville indie from Deer Head Music. I shared it on Twitter and when Deer Head responded, I asked them for some venue suggestions. They came back with The Basement, Exit In, Mercy Lounge, the 5 Spot and the Stone Fox. None of these places are on Broadway, not that I knew the significance of that before I went down there. I Googled each venue, looking for promising bands that I might be able to catch in my limited free time. 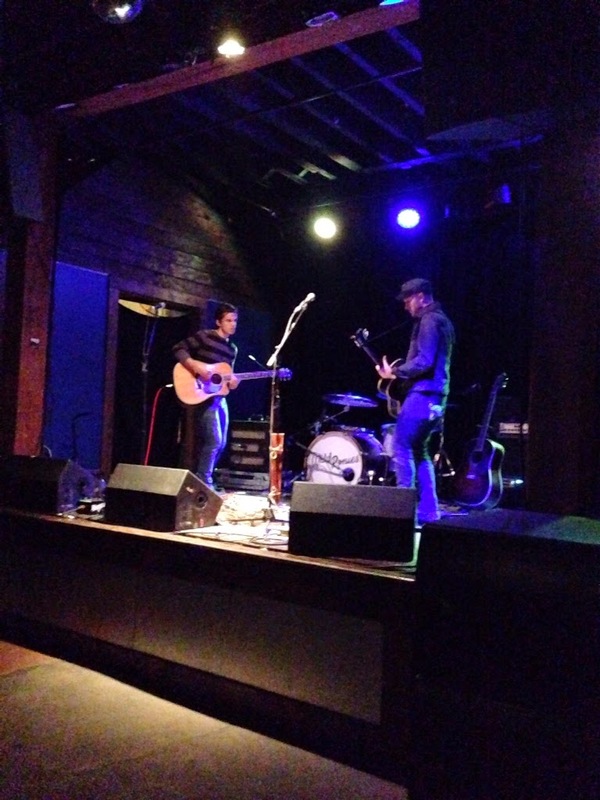 Mercy Lounge led me to The High Watt, which was featuring a four-act lineup on the Monday, headlined by Wild Ponies. I dialed up their 2013 album Things That Used To Shine and was greeted with the moody and menacing Make You Mine. Opening with a Link Wray-sized chord, this is a concise bit of noir, with spidery guitar from Doug Williams limning his wife Telisha's threats, sung in a crystal clear voice with a bit of twang. The second song, The Truth Is, has Telisha showing a more vulnerable side and is also a winner. Trigger moves at a gallop, with some fine fiddling, intricate picking and Doug chiming in on the chorus. The whole album is pretty darn good, although I have a definite preference for the cuts that steer the furthest from country and where Doug unleashes the meanest guitar lines. So I had a plan. Strangely enough, no one else at the conference was feeling adventurous and preferred to either stay in the climate-controlled Gaylord, check out the Grand Ole Opry itself or wander the confines of Broadway. The shuttle dropped me off outside The Ryman. I walked down to Broadway and immediately saw why some people call the place Nashvegas. The neon was unrelenting, although some of it was very cool, and there was music blaring from windows and doors on two levels. Nothing I heard was very inspiring and it struck me that the performers in the tourist traps lining the street were little more than props, part of the experience visitors expected but not something you would travel to see, or remember much of afterwards. I was seeking something more. 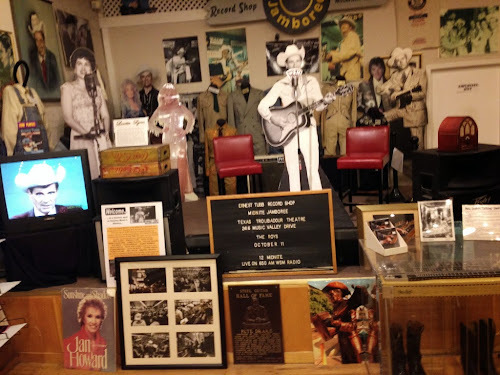 But before going off the beaten path, I decided to stop into Ernest Tubb's record store, which has been there since the 50's. They had a deep selection of country, including some nice box sets from Bear Family. In the back was a little museum, with cutouts of Tubb, Hank, Dolly and Elvis. They also had Pete Drake's "talking" pedal steel, as heard on Lay Lady Lay and 1,000's of other songs. Since I was there, I picked up Lucinda Williams's fine new album along with an Earl Bostic CD from the bargain bin. Stepping back onto the sidewalk, I gave myself over to Apple Maps for direction and Hiss Golden Messenger's extraordinary Lateness Of Dancers for musical fuel. As I walked, the sky to the south lit up regularly with cinematic bursts of lightning, lending a sense of occasion to my journey. 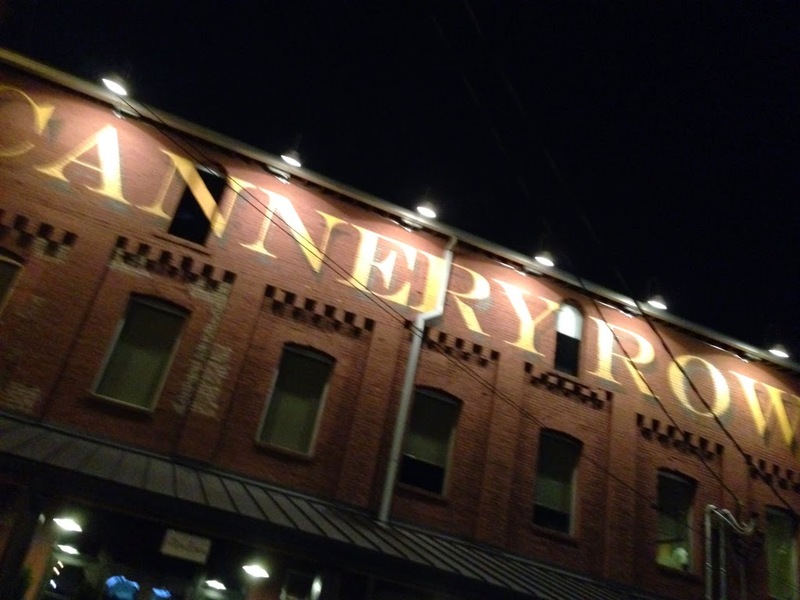 After about a mile, I found myself at Cannery Row, an historic building that now houses three music venues (at least) and what looked like a gallery. 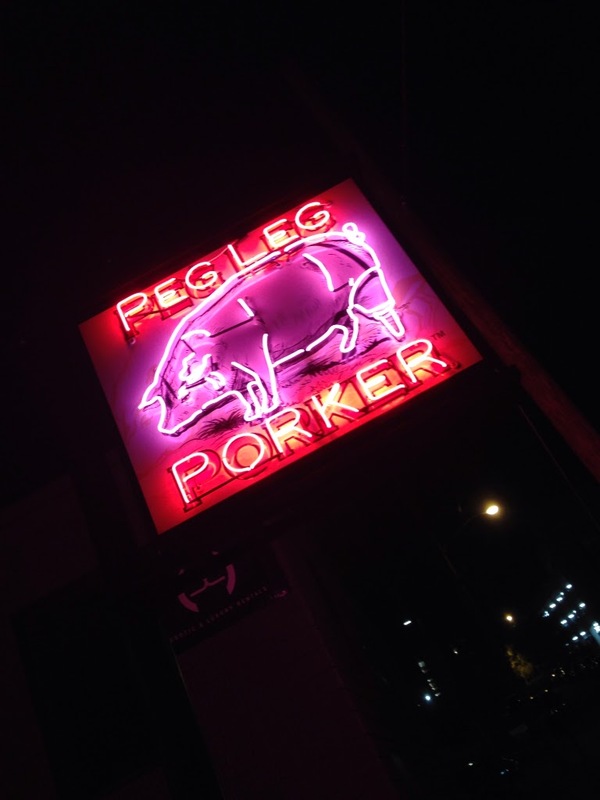 What it didn't have was a restaurant so after paying my $3.00 ("Steep for Nashville on a Monday night," the doorman informed me) and getting my hand stamped at The High Watt, I went off in search of Peg Leg Porker for some barbeque. God, was that good, and perfectly matched by their house-bottled bourbon and a glass of George Dickel Barrel Select for good measure. But I digress. By the time I finished licking my fingers and got back to The High Watt, I had missed Lauryn Peacock's tuneful and thoughtful folk-rock but up next was Taylor Sorenson of The Trigger Code, a Nashville band with a big sound that was recently heard on the inaugural season of HBO's True Detective. It's been a couple of years since their last album, however, and Sorenson was here to workshop some new songs with another guitarist. Although he introduced them as acoustic songs, both guys were plugged in and ready to rock. Which they did, with intensity, Sorenson's boot hitting the stage on the choruses. While still ringing out with bold dramatic flourishes, the new songs sounded a bit more personal than their stuff on record, which can strain a little too much for the universal. It's a tough balance, but Sorenson has the grit and passion to find it. After a short break, Catherine Ashby took the stage, tall and striking in a long white tunic, her red hair offset by glittery eye shadow. Her 2012 album King Of My Sky has a beautiful warmth, reminiscent of Nick Drake and other English singer-songwriters. The songs are well-constructed and can be deeply touching, offering solace and delivering on that promise. Recently she's transplanted herself to our side of the pond, recording her latest EP, Tennessee Tracks, in Nashville, and as soon as she started singing I Tweeted "where Laurel Canyon meets the English Hills," trying to capture the influences she was so perfectly weaving. The EP was produced by Lorna Flowers, like Ashby an English songwriter drawn to Nashville. 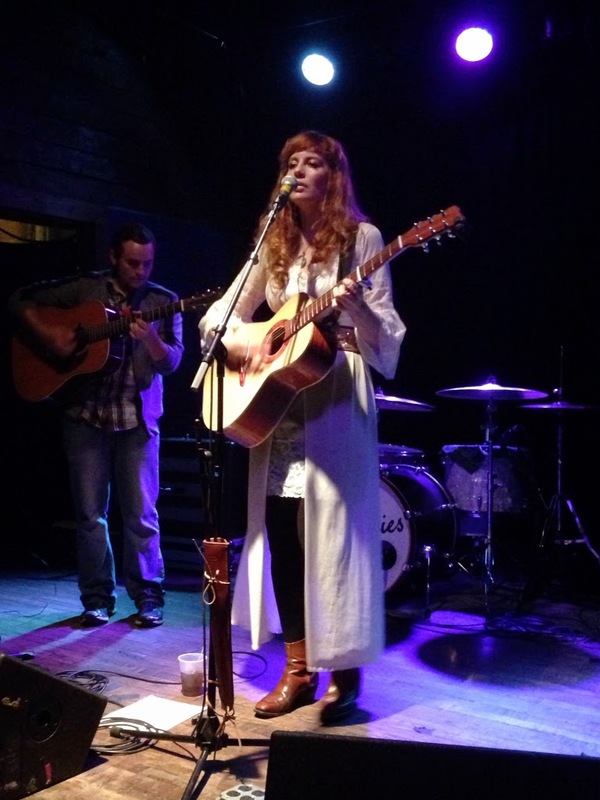 In the 10 years since she arrived, she became a nurturing force among Nashville musicians. Unfortunately, that tight-knit community said goodbye to Flowers earlier this year when she succumbed to cancer. She did a beautiful job with Ashby's songs, adding just enough detail to the songs with pedal steel and strings, a restrained rhythm section and a rich sound. Tennessee Tracks is a worthy addition to her legacy and an excellent introduction to Ashby's talent. Performing with just another guitarist, Ashby was a confident and charming advocate for her songs and sang beautifully. I couldn't help but think what those people packing the bars of Broadway were missing, as there were only 20 or 30 people at The High Watt. 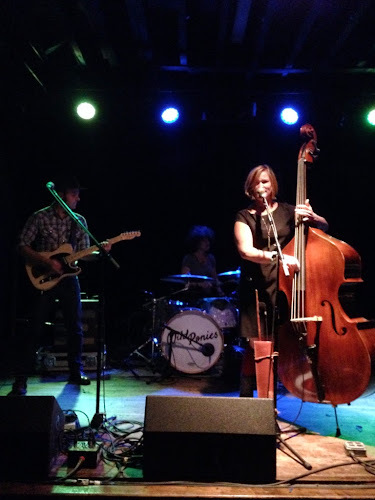 This was Wild Ponies last Nashville concert until mid-December as they are heading out on an extensive tour, including nearly a dozen dates in the UK. I wouldn't be surprised if they inspired a few more musicians to get on a plane and explore Music City. On my way out of The High Watt, I chatted with Doug and he was as friendly as his guitar playing is fierce. Catherine Ashby was also charming, signing my copy of Tennesee Tracks with a flourish. I would've hung out longer but I had to catch the last bus to the Gaylord. As Hiss Golden Messenger sung me back to my hotel room, I felt that I had drank deeply from a rich source of music. I won't say I found the "real Nashville" on Cannery Row as the rhinestone and neon glitz is just as much a part of that as the simple verities of great singing, songwriting and playing. I do feel I found a corner of town that fed me and kept me satisfied even in the weeks since I returned to NYC - and I'm not just talking about Peg Leg's ribs. Next year's conference has already been scheduled in Austin. I've heard you can catch a little music there, too. Here's a playlist of some of what I listened to and heard in Nashville. Bandcamp Bump: Debby Schwartz, Eddie Dixon, Etc. It remains to be seen if Bandcamp will save the music business, but one thing is certain: there's a whole lot of music to be found there. It has a lower bar to entry than iTunes or Spotify, giving up and comers an opportunity to make their stuff available for streaming and download. They've also recently added "fan accounts" as a way to build community on the platform. Signing up gives listeners a chance to follow artists and other fans to keep up with what's going on and share information. They also have an app, which lets you listen to anything you've bought on all your devices and discover new music through a customized feed. That low bar to entry does mean that you have to wade through a lot of lo-fi, derivative and frankly amateur stuff to find the gems, but they are there to be found. Finding the good music on Bandcamp isn't always easy. Fortunately, there are guides like Lizzie Plaugic, who picks a few of her discoveries and shares them every Thursday via Letters From Bandcamp on the CMJ site. While I've found a few things thanks to her digging (like the naive charms of Palmz) I'm going to share a couple of my own favorites that came to me via quite different methods. Debby Schwartz is an old college friend of mine who is a music lifer. She's best known for her time in The Aquanettas, an all-female power-pop band that disbanded in 1995 after some rough treatment from the industry - an old story, except they were on an indie label. Talk about bad luck. Their 1990 album, Love With The Proper Stranger, has aged well - give it a spin on Spotify. So when I heard from Debbie that she had a new EP out, Satan You Brought Me Down, I headed immediately to Bandcamp to check it out. Debby's contralto has grown deeper and richer in the intervening years but retains that little quaver of vulnerability that makes it so easy to connect with her singing. Accompanying herself on acoustic guitar and working a seam of Americana that is slightly hypnotic and emotionally resonant, she's come up with five winning songs here. Hypnotic turns to haunting on All To Become Somebody, thanks to Pat Gubler's expert work on the hurdy gurdy and a melody that seems as old as time itself. Both the EP and upcoming album were produced by former Voidoid Ivan Julian with a sensitivity to Debbie's voice and live yet dimensional sound. Flashing back to seeing The Aquanettas at Brooklyn Woodstock, I never could have imagined that Debby would be making her strongest music 30 years later. Believe it. People are coming out of the woodwork at an increasing rate to see if AnEarful will feature their music. Eddie Dixon is one such person and I was glad he did, especially after a couple of listens to what turned out to be his fourth album. Yes, he's been around awhile - besides his own music, Dixon has lent his multi-instrumental talents to a wide variety of music, from Ralph "Soul" Jackson to rapper Serengeti. 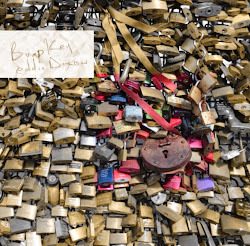 Bump Key takes you on a tour through some fractured Americana, with echoes of Wilco, Tom Waits and Michael Chapman. More Bugs Than Birds and In The Morning When It's Late are standouts but the capper is closing track, You Are Not A War. With a groove that gets under your skin and some louche cabaret piano, this song sticks with you. Dixon's dry voice and wry sensibility anchor the project and the production is well thought out but feels organic. Dixon is on to something - climb aboard. Now, pardon me while I check out Eddie's three other albums - on Bandcamp, of course. 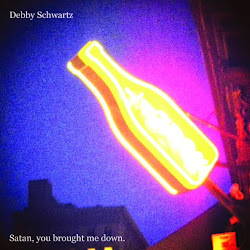 A couple of months ago, I wrote about Debby Schwartz's great EP, Satan, You Brought Me Down, which featured five unadorned songs in prelude to the release of her first album in 16 years. Well, now that album is here and it's a corker. A Garden Of My Own was produced by Ivan Julian, one of Richard Hell's original Voidoids and was released in late September by Twin Lakes Sounds, a small label with offices in Brooklyn and North Branford, CT. If there's any justice, this album will expand their base exponentially. Schwartz is now mining a deep vein of British and American folk and rock that is extremely rich and sometimes haunting. It was no surprise that she ended her recent show at Cake Shop with a cover of Led Zeppelin's The Battle Of Evermore, singing the Sandy Denny part nearly flawlessly, her voice pouring out like water. The Robert Plant part was ably sung by Karyn Kuhle, who had opened the show with her hard-rocking quartet. Reminding us that the blues were always a part of the early Stooges sound, she shredded her guitar very nicely at the intersection of Ron Asheton road and Albert King avenue. Kuhle's sound was often over-amped and explosive, unrestrained and dynamic in an unfashionable way, slightly comic even, which had me uttering the words "Blue Cheer" to my friends at the bar during her version of Born Under A Bad Sign. One of them was too busy pounding the wood to notice. So, good fun with solid songs, a tight band, and tons of adrenalized guitar. Cake Shop's rough sound was a bit too bright, but still had plenty of punch and didn't detract much from her set. Like Schwartz, Kuhle's been around a while, a Hoboken veteran who made noise in 80's with Gut Bank and in the 90's with Sexpod. Experience has paid off, however, and she's making the strongest music of her career just by letting it rip as if she hadn't a care in the world. Finally - and I do mean finally - Debby Schwartz took the stage and instantaneously cast a spell over the room. Her right hand mesmerized me as she picked out the complex figures of Bulldozer on the thickest acoustic guitar I've ever seen. The sense of restraint, of an emotional dam ready to burst, heightened the suspense as she started each song and guided it to its conclusion. Throughout the night, the musicians on stage expanded or contracted as suited the song, but never overshadowed Schwartz. She has a great stage presence, too, relaxed and engaging, with nothing precious about her, even though the material she is presenting is so finely wrought. She introduced Dreaming New York City in the Middle of LA by telling a brief anecdote about moving out west without a car: "Bad idea - but I got this song out of it!" And a great song it is, one of the more propulsive numbers on the album, featuring a some sharp lead guitar from James Mastro and chugging bass from Peter Stuart. When she played it live, it struck me that the genius of Dreaming New York City is that Schwartz seamlessly brings the pop-craft she honed during her years with The Aquanettas into her new and more substantive style. It's a brilliant synthesis and I would be surprised if WFMU and WFUV aren't already playing it. In fact, there are a number of radio-ready songs on A Garden of My Own, from the sheer beauty of Hummingbird, with its detailed arrangement and slightly tricky rhythmic pattern, to the exuberance of My Hope, which has a chorus straight from the schoolyard, unleashing Schwartz's clarion upper range. "Listen to that," my wife said when I played it for her, and we did, struck dumb by the sheer talent, now fully realized by years of hard work and dedication. Even with all the equipment changes, which stretched the limits of Cake Shop's tiny stage (and it's sound system, which emitted an ambient buzz much of the time), the set moved smoothly from song to song, captivating the audience. When the last note was struck - too soon - it was as if everyone exhaled. But don't take my breathless word for it: get the album (or play it below). You can also listen for Debby on WFMU tomorrow (10/5) during Gaylord Fields's show or catch her live at Sidewalk Cafe on October 19th.